Indirect lighting design helps make a room a comfortable and relaxing space, as it provides a soft glow and diffused light. There is a wide range of indirect lighting ideas catering to all areas of the home: from the bedroom, and living room to the outdoors. Here are a number of indirect lighting options to consider. Cove lighting is the best form of indirect ceiling lighting. The most common type of cove lighting is a false ceiling that has light fixtures tucked away within it. The light is bounced off of the ceiling and walls into the room. You can even have multiple levels of cove lighting. This all requires quite a bit of remodeling work as the ceiling needs to be altered. A simpler option is to use crown molding for indirect lighting. This is when crown molding is installed usually a couple of inches down from the ceiling – creating a space above the crown molding where the lights can sit. 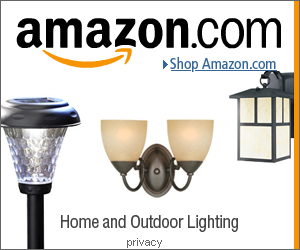 For more, have a look at our cove lighting ideas post. Downlights are another indirect lighting idea. These are the same as recessed lights (lights that are fitted into the ceiling hiding all of the parts) except they tend to be smaller and are fitted closer to the wall to highlight a hanging art piece, textured wall, or a decorative piece on a side table. Floor lighting is an elegant way of lighting a space. There are a number of ways to do this. A common idea is to install uplights close to the wall, which will wash the wall with light. Other ideas include installing lights at the bottom of cabinets. Directional lamps can be placed on the floor and faced onto the wall. These can be placed next to a house plant – and the light will cast shadows across the wall, creating depth in the room. For more, read our floor lighting ideas post. Wall washers direct light up onto the wall and onto the ceiling. Another way of doing this is to use uplights. Wall washers have a softer glow, while uplights are used more for accenting certain areas. Another form of indirect lighting are lights that are used for another purpose like accenting areas, or showcasing items. Display Lighting: This is when a small space has been created within a wall to showcase décor pieces. These spaces will have a recessed light installed above them. A recessed wall usually to house a bathroom mirror or a bed can house indirect light fixtures. 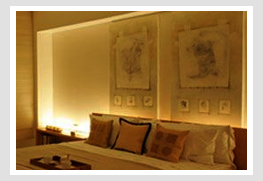 A decorative panel on the wall or an art piece can have lights fitted behind to create a glow around it. In the bedroom lights can be fitted behind the headboard to create relaxing mood lighting. Lights can be installed behind Plexiglass or frosted glass to create a diffused and soft glow of light. This can be done in the bathroom, or under a desk. In the living room LED lights can be installed behind the TV like in the picture below. Rope lights are great for creating indirect lighting. They can be stuck to the back of cabinets, bottom of the cabinets to create floor lighting, or underneath the lip of steps. Don’t forget that mirrors are great in making a room appear bigger, and helps reflect light around. When it comes to baby nursery lighting ideas the same principles of lighting any room still apply: you want enough general ambient lighting to create a comfortable space and you’ll need task lights (like lamps) in specific areas of the room. Some basic and essential lights to include in a nursery are ceiling lights and table lamps. When it comes to ceiling lights in a nursery a popular choice are pendant lights. These bring the light closer down from the ceiling providing more localized lighting. They also help keep an intimate and cozy feeling in the room. Have a look at our post here showing Allison’ DIY paper lamp, where she used an inexpensive, standard paper lantern, and glued cut out pieces of a map to create lovely pendant lighting for a nursery. Another popular ceiling lighting option, seen in many modern and newly built homes, are recessed lights. These are the types of lights that are fitted within the ceiling, hiding all the parts, creating a minimalistic look. If you want to create a cozy feeling in the room, but don’t want to have pendant lights (which require special wiring) as they might not be suitable when your baby grows up, there is an alternative that merges recessed and pendant lights together. Pendant adapters are pendant lights that easily screw into a recessed light socket. So you can easily switch between the two types of lighting. Table lamps are essential nursery lighting fixtures. Keep one on a side table near the crib. Use a low watt bulb so that you can keep the lighting at a low level even in the middle of night. Or another option is to install dimmer switches so you don’t blind yourself in the middle of the night if you haven’t already done so on the way to the nursery room. Floor lamps are also ideal in a nursery room, but will be best taken out once your little one has grown from a baby to a roaming toddler. As you don’t want them pulling at the light. You don’t want your little baby to wake up in the middle of the night and be in complete darkness. A simple plug in wall night light helps babies be more at ease when they wake up at crazy hours. Or how about a more elaborate and modern night light like the Twilight Turtle that shines constellations onto the ceiling. White/Orange String Lights: They provide a soft glow of light and turn a room into an enchanting space. If you use LED ones (they give off less heat) you can even wrap them around in drapery creating diffused and whimsical lighting. Chandelier Lighting: A mini chandelier in the middle of the room will create a magical centerpiece and focal point in the room. Italians are known for their high regard for quality in terms of manufacturing products that not only perform its function well but also speaks volumes about the Italians’ rich background in design and the arts. This can be seen in many products that come from Italy, from their suits to designer Italian lighting brands such as Foscarini or Axolight. People attribute this sense of style to the renaissance period which is believed to have started in Italy. This art movement inspired people to tap their creative minds and come up with creations that can truly make a change in the world. Art become highly regarded during that period. It comes as no surprise that Italians can create impressively stunning pieces of art that not only includes paintings, sculptures and the like, but also in other in other disciplines such as industrial design. Italian light fixtures in particular, are the most sought-after pieces for well designed residential and commercial spaces. From Italian wall lights, floor lamps, lanterns and chandeliers, the Italians can create pieces with grace and finesse. One fine example is the Murano Chandelier, which rose to prominence as the Italians made use of hand-blown glass for the dangling, sparkling pieces of the chandelier. Even to this day, the underlying principles in crafting objects with Murano glass is still in effect, if not improved with more complex designs and varieties. Many brands have emerged in the past few decades, continuing the long-standing tradition of designer Italian lighting. Foscarini and Axolight are just two of the many companies that continue the design sensibilities of the Italians in the early 1900s. These popular Italian lighting designer brands not only continue what the makers from the past have perfected so well, but have also come to realize the importance of emerging technology and integration of these two to form unique lighting techniques. There is a wide range of Italian designer lighting brands that can be bought online at shops such as ylighting.com or lampsplus.com. Cove lighting provides sophisticated indirect lighting. 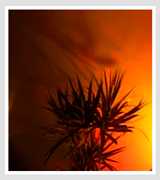 It is used for general ambient lighting as well as accent lighting. The light bounces off of the walls and the ceiling, creating even lighting across a room. It makes a space feel larger, taller, and wider, while giving it a contemporary look. There are a number of cove lighting ideas and ways of using this design element in a space. Cove lights need a place for them to sit, out of sight. The common process is to build a false ceiling, where the ceiling is lowered, and have the lights fitted in a cut away within the false ceiling. – There are a range of shapes in which the ceiling that houses the cove lights can be made into. The most common design takes up the whole ceiling, in a rectangular shape. There are more decorative options, in more angular shapes or even curved forms as seen in the pictures below. – The ceiling that the cove lighting highlights can be built and decorated in a number of different materials and finishes (i.e. wood or polished concrete), to suit different décor styles. – Cove lights can be used alongside other ceiling lights, as they accentuate the other light fixtures. Cove and recessed light combinations are most common in homes. But pendant lights or even chandeliers can be combined with cove lighting ideas. Instead of building an entire ceiling that spans the entire space, a section of the ceiling can be dropped down that will house the lights as seen below. A much simpler way of adding cove lighting to any room is to use the crown molding method. This doesn’t require the heavy construction work of adding a false ceiling. Instead crown molding juts out from the wall, leaving a ledge above where the cove lights can be fitted and softly glow on the walls and ceiling. This style of cove lighting will make the space feel much, much taller. A recessed dome can be created into a ceiling, in which the lights will sit hidden around the perimeter of the dome. This circular ceiling piece is an elegant feature in a space and one that will create a focal point in a room. A chandelier can hang down from the center of the dome to add more to this feature. There are a number of areas where cove lighting can be used within walls. Some examples include using them for bathroom mirror lights, installed behind large pictures or paintings, behind headboards in a bedroom, or just to create a decorative backdrop. Within homes and retail spaces such as shops, bars and restaurants, display cabinets can have cove cutaways at the bottom and the top for light fixtures to hide from sight. Objects can be evenly lit without the glare that comes from normal halogen or tungsten display lights. Floors can also be lit with cove lighting. 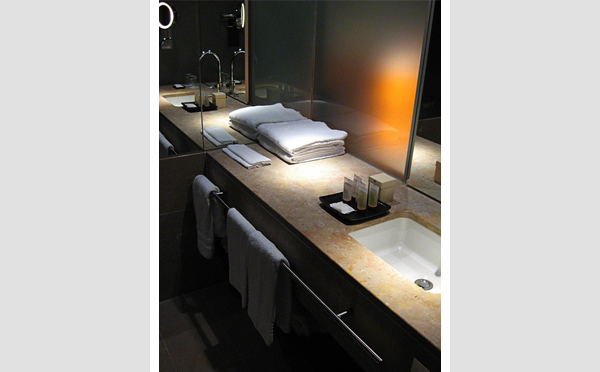 Have a look at our post on floor lighting ideas for the section on floor cove lighting. Adding any of the cove lighting ideas highlighted here will create a new dimension in a room. They easily make a space feel larger than it is, while providing even, soft, and relaxed lighting. As most hallways don’t have any windows bringing in natural light, they can be quite dark and dull areas of the home. Just having one light in the middle of the hallway, will usually result in dark areas – as seen in the before and after picture below. The hall lighting ideas below play an important role in creating a comfortable and spacious part of a home. There will be two types of hall lighting fixtures. The first and most important is ambient lighting – which is lighting that makes an area visible, comfortable, and allows people to navigate easily. The other type is accent lighting. This is used for more decorative purposes and adds a luxurious touch to a hallway. The purpose of accent lighting is to highlight certain objects or areas (creating focal points), such as gallery lights pointed towards art pieces, or other lights pointed towards a vase of flowers, or other décor pieces. The size of the hall will have an impact on the amount of lighting that is needed to make the space look pleasant – the length, width and height all play a role. There should be a light fixture every 6 – 10 feet, depending on the type and brightness. The following picture from witandwhistle.com hallway makeover shows that one light in a long hallway is not enough. Recessed lighting is one of the more common lighting styles in newly built homes. The lights are hidden within the ceiling, providing a clean, minimalist, and modern hallway lighting style. When used in a hallway, they will make the space look taller. If you do go with recessed lighting, make sure they are well spaced out to prevent creating an office look. There are also directional recessed lights (also known as ‘down lights’), where the angle of the lights can be adjusted. They can be pointed towards walls and act as accent lighting to highlight framed pictures, or other décor pieces. These light fixtures are usually installed closer to the walls than normal recessed lights. Recessed lights can be used with other hallway lighting ideas to provide multiple lighting effects – adding to the visual appeal of the space. Directional spotlights: If you have a small, compact hallway, more in the shape of a square than a rectangle, directional spotlights would be a good choice of lighting. These are 3 lights grouped together on a circular base, but are pointed outwards. You can change the angles of the lights, and have them point towards the different walls and corners of the hall. Track lighting: A simple lighting solution for narrow hallways are track lights. As seen above in the Wit and Whistle before and after picture, track lights easily fill a space with light. The great thing about them is that they only use one outlet – so you can upgrade a single ceiling light into multiple hallway lights, relatively easily. For tall hallways you will want to have light fixtures that bring the light closer down to the floor. Short or long pendant lights are ideal for taller hallways as seen below in the hallway makeover done by The Old White Cottage. A mini chandelier hung in the middle of the hall will act as a décor feature, and will scatter light around the hallway. Hanging ceiling lanterns are another example of pendant lighting. 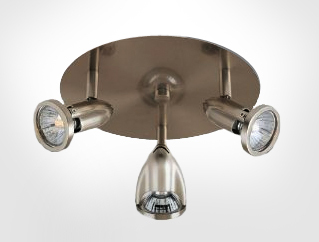 Flush mount lights are another way of adding ceiling light to a hallway. Cove lighting: If you are looking to do some serious remodeling, then cove lighting could come into play. This is when a false ceiling is installed and lights are hidden in a cutaway. The light bounces on the ceiling and walls to create an elegant and soft glow of light. Cove lighting works well in addition with recessed hallway lights. Sun Tubes / Sun Pipes / Skylight: Sun pipes are pipes or tubes that come down from the roof, letting natural light stream down into a hallway on the top floor of a house. They do require slight constructional work, but they add solar lighting in the day, and a view to the night sky. The same goes for the larger skylights. Horizontal sconces can be attached to walls to add lighting to a hallway. You will want to space them apart 6-8 feet and have them 60” off the ground, the same applies to wall washers. If you have a light colored ceiling, you can light it up to make the space feel larger. This can be done with wall washers, which diffuse light upwards onto the walls and ceiling. Be careful with using downlights placed low down on the walls, as this can create a tunnel like effect. Gallery or goose neck lights can be fitted over paintings or framed pictures to add accent lighting to a hallway. There are even battery operated picture lights that simply attach to a frame, eliminating the need for wiring and electrical work.